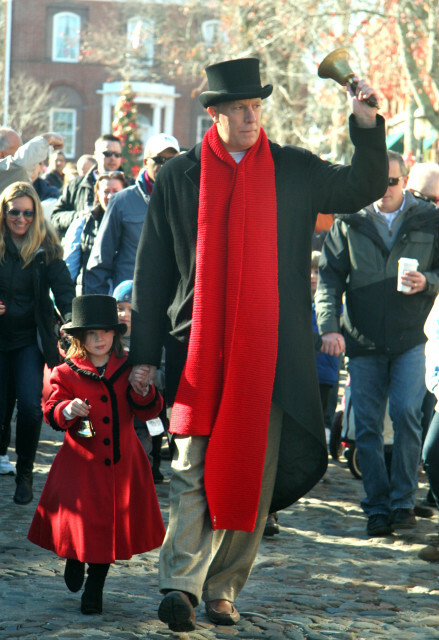 THANK YOU to everyone who made the 45th Annual Nantucket Chamber Christmas Stroll Weekend a HUGE success! We look forward to seeing you in 2019! The 46th Annual Christmas Stroll Weekend will be held December 6 - 8, 2019!! of gentle, caring acceptance of all people remains undimmed. Stroll Saturday from 9-3 PM. 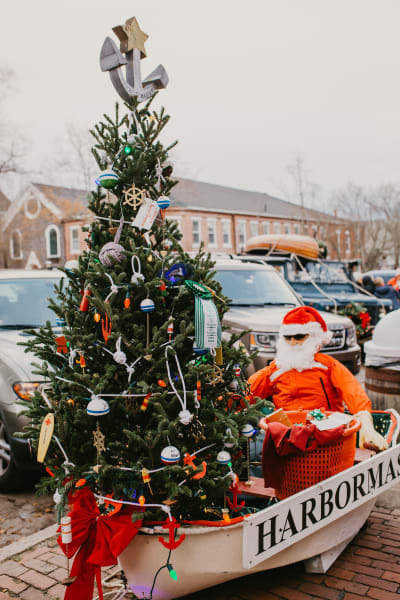 The Nantucket Chamber of Commerce and The Steamship Authority are proud to present the 45th Annual Christmas Stroll Weekend. 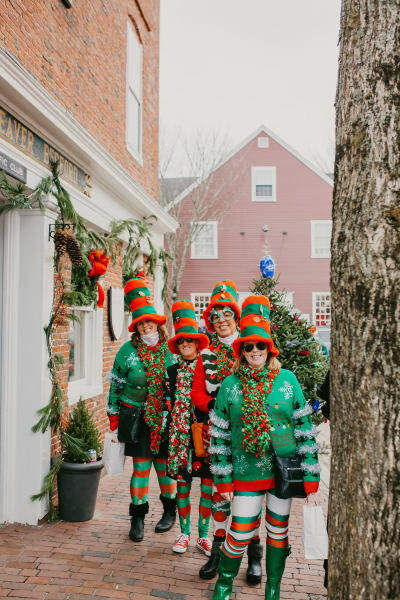 10:00AM-3:00PM NANTUCKET’S OWN CHRISTMAS MARKETPLACE Meander through our wondrous Christmas Market and celebrate the enchantment of the season. Indulge in the aromas of delectable food and beverages as you chat with friends and survey a variety of handcrafted gifts and merchandise sold by Chamber members and non-profit organizations. Foot of Main Street. Vendors include ACK4170, ACK Smart, Big Hug Dumplings, Boston Medflight, Company of the Cauldron, Fairwinds, Frederique Studio, Harvey Traveler Co., Live Local Designs, Nantucket Curling Club, Nantucket Lobster Trap, Nantucket Shellfish Association, Nantucket Skating Club, NHS Latin Club, NiSHA, NPS 8th Grade, RES IPSA, Rotary Club of Nantucket, Seconds Shop, Small Friends, and Sushi Sean 11:11! 11:00AM-4:30 PM MAIN STREET STAGE ENTERTAINMENT. Stop by the stage to enjoy eclectic performances by Theatre Workshop of Nantucket, The Boys and Girls Club, Susan J. Berman, PJ Moody, The Accidentals & Naturals, and more! 11:45AM TOWN CRIER RINGS IN CHRISTMAS STROLL! Gather at the Main Street stage to help our inimitable Town Crier ring in our 45th Stroll....and follow him down to Straight Wharf to welcome Santa! 12:15PM SANTA CLAUS ARRIVES! 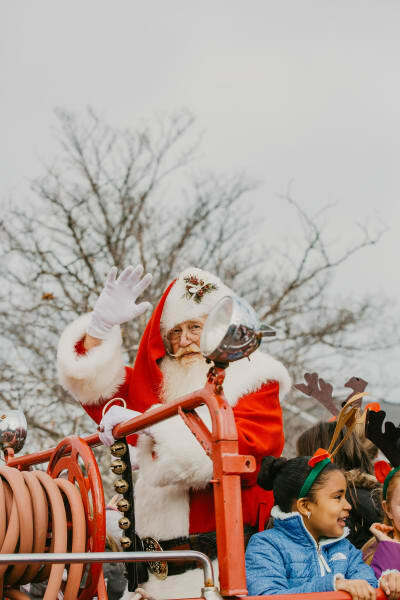 Gather at Straight Wharf to watch Santa arrive via Coast Guard cutter, and join Santa’s parade as it travels up Main Street and across Centre Street to the Jared Coffin House. (Santa will be traveling in a vintage fire truck this year!) The "Head Elf" visits with children from 1-2:45 P.M. Doors close promptly at 3:00PM.....Santa needs to return to the North Pole! 1:00PM-3:00PM MAGICAL TALKING TREE. Children young and old have long been enchanted by our mysterious Talking Tree, beautifully decorated for Stroll by local designer ﻿David M. Handy﻿. Nestle close to its branches and listen....will your wish for the holiday season be granted? 1:00PM-3:00PM ENTERTAINMENT AT THE JARED COFFIN HOUSE. 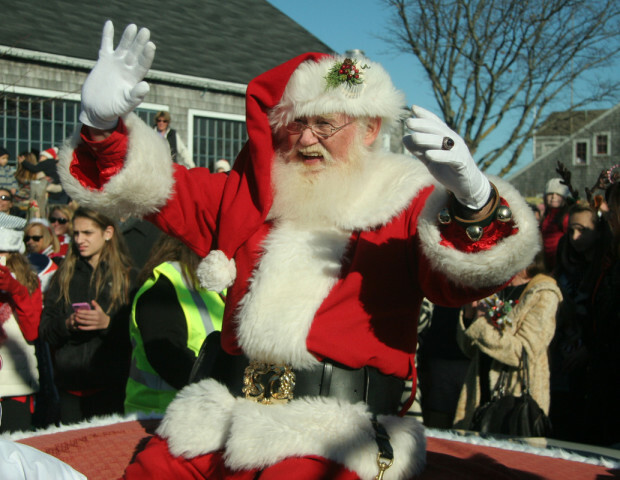 The Nantucket Chamber of Commerce hosts a lineup of delightful entertainment along Centre and Broad streets during Santa's visit. Be sure to check out these fabulous musical acts, including Nantucket's own Accidentals & Naturals, and the Victorian carolers! 3:00PM UGLY SWEATER CONTEST. Main Street Stage. You know you have one, so why not get a prize for wearing it? Sign up from 10:30am to 2:30pm at the Chamber's merchandise table at Zero Main Street. Get ready to strut your stuff at 3pm! 4:30-5:15PM COMMUNITY CAROLING ON MAIN STREET. 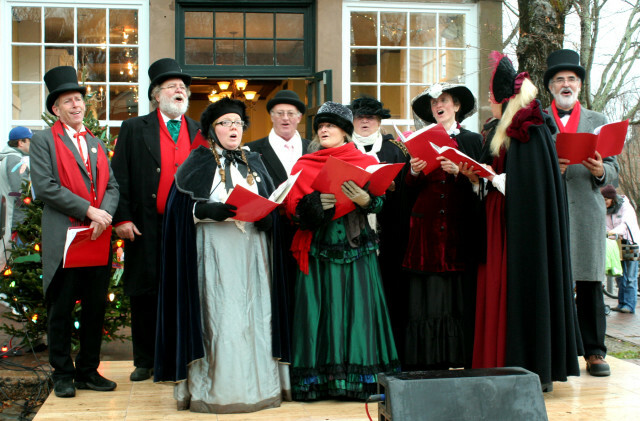 Join our world- renowned Victorian Carolers for a very special sing-along on the steps of Pacific National Bank at the top of Main Street. Sponsored by the Nantucket Island Chamber of Commerce. 12:00PM SPECIAL VIEWING - WON'T YOU BE MY NEIGHBOR. Special viewing of Mr. Rogers' documentary at the Dreamland Theater to wrap up our 45th Annual Christmas Stroll Weekend It’s a Beautiful Stroll in the Neighborhood. This screening will be introduced by Chamber President David Martin, who worked with the show’s cast in his home town of Pittsburgh. Dreamland Theater, 17 S Water Street. When you arrive on Nantucket, make sure to stop by the Chamber of Commerce at Zero Main Street to grab your copy of the 2018 Official Stroll Guide. There are still a few spots left to advertise your business! All businesses who provide event details prior to October 29th will be included in our Official Stroll Guide. 9:30am-6pm • Freedman’s Annual Holiday Sale & Refreshments. 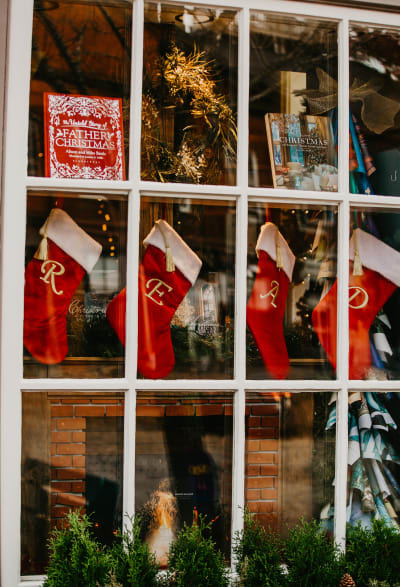 Holiday Sale at Freedman’s of Nantucket. 14 Centre Street. 10am-5pm • Rafael Osona Auction Preview. You are cordially invited to preview the December 1st Auction. Come browse the vast array of Fine Home Furnishings & Antiques, and so much more. American Legion Hall, 21 Washington Street. 10am-5pm • Artists Association Holiday Small Works. Annual Art Exhibition at the AAN Cecelia Joyce & Seward Johnson Gallery. All art is 12” x 16” or smaller - something for everyone on your holiday lists! 19 Washington Street. 4:30pm • Cisco Brewers: Buckle & Shake Performs Live. Live music at Cisco Brewers, 5 Bartlett Farm Road. 5-7pm • Épernay Wine & Spirits: Jewels of the Holiday Wine Tastings. See what Julian Casey of Vineyard Road has in store for you at this fabulous red wine tasting where you will taste stellar selections worthy of being showcased in anyone’s stocking this season. 1 N Beach Street. 5:30pm • Brant Point Grill at the White Elephant Stroll Weekend Finale. Enjoy a 3-course Stroll dinner for $69 per person. White Elephant Resort, 50 Easton Street. 5:30-9:30pm • Nantucket Culinary Center: Sailing Stork Fund Holiday Pop Up Shop. An array of goods featured by local artisans will be available for purchase to benefit the Sailing Stork Fund. Snack on some light bites prepared by Chef Greg as you get a head start on your holiday shopping. 22 Federal Street. 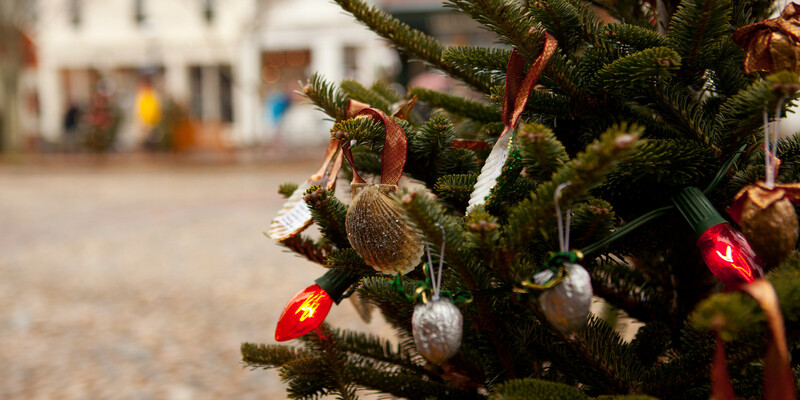 6-8pm • Nantucket Historical Association 25th Annual Festival of Trees: Preview Party. 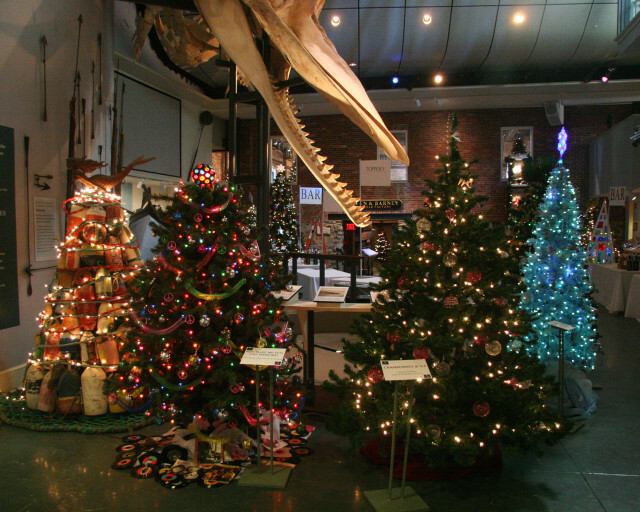 The Festival of Trees is the NHA’s highly anticipated holiday tradition that begins during Nantucket’s Stroll weekend and transforms the Whaling Museum into a festive winter wonderland for the entire month of December. NHA Whaling Museum, 13 Broad Street. 7:30pm • “A Nantucket Christmas Carol” by White Heron Theatre. Playwright Mark Shanahan has created a charming new adaptation of the classic Dickens story, with A Nantucket Christmas Carol taking place on the tiny New England island, thirty miles at sea. Tickets: 508-228-2156 or 5 N. Water Street. 9:30am-6pm • Freedman’s Annual Holiday Sale & Refreshments. See Nov. 29 for details. 10am-4:30pm • Nantucket Lightship Basket Museum 8th Annual Basket Festival and Sale. A portion of the proceeds benefits the museum. A special exhibit of miniature baskets will be featured. Free admission to the museum, weaving demonstrations and refreshments. 49 Union Street. 10am-5pm • Rafael Osona Auction Preview. See Nov. 29 for details. 10am-5pm • Island Cashmere - Stroll Cashmere Sale. Stop in for up to 70% off soft and cozy cashmere. Island Cashmere, 32 Centre Street. 10am-5pm • 25th Annual NHA Annual Festival of Trees. 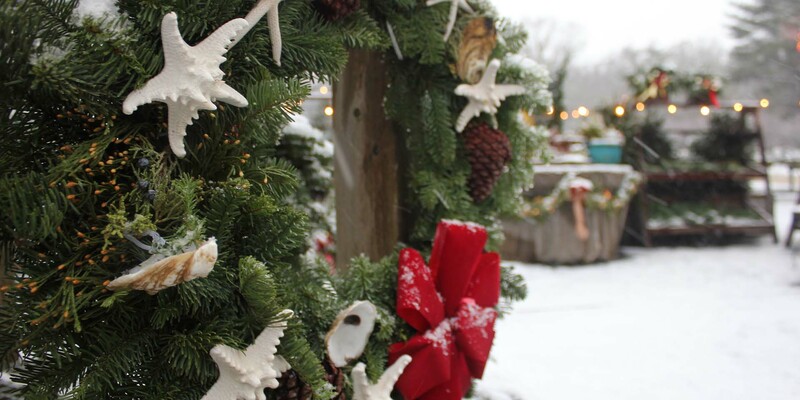 An island tradition features community-crafted trees that transform the Whaling Museum into a festive winter wonderland for the month of December. In the Whaling Museum, 13 Broad Street. 10am-5pm • Artists Association Holiday Small Works. See Nov. 29 for details. 10:30am-12:30pm • Raven’s Walk: Children’s Pirate Walk and Treasure Hunt. Join Pirate Robin on a walk to the Brant Point Lighthouse. Hear legends of infamous pirates who sailed these waters and lost sailing ships while searching for treasure. Children must be accompanied by an adult. $20/adults, $15/children. Reservations required: 508-257-4586. Meet at the Nantucket Hotel, 77 Easton Street. 11am-4pm • G.S. Hill Gallery and The Nantucket Pearl Company - Annual Christmas Stroll Fun & Raffle. Stop by G.S. Hill Gallery and The Nantucket Pearl Company at 40 Straight Wharf to celebrate the holidays with refreshments and their annual raffle drawing. Drawing held at 4 pm on Stroll Saturday, Dec. 1. 12pm-2pm • Epernay Wine & Spirits: A Toast to Stroll Aperitivo Tasting. Raise a toast to the beginning of Nantucket Stroll weekend Italian style! Experience the taste of Amaro + Bitters all wrapped up into one nice holiday package at this tasting of Galliano L’Aperitivo. 1 N Beach Street. 12-5pm • Quidley & Co. 9th Annual Art Show to Benefit the Marla Ceely Lamb Fund & Palliative and Supportive Care of Nantucket. See Nov. 29 for details. 1-2:30pm • Raven’s Walk – The History of Nantucket. 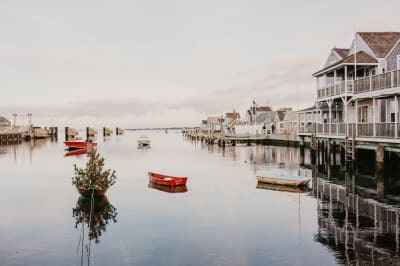 Take an historic walk through Nantucket’s town, learn about original settlers, Mary Coffin Starbuck, impact of Quakerism on Nantucket, whaling, tragedy of whaling ship Essex. $20/adults, $10/children. Reservations necessary: 508-257-4586. Meet at the Hub, corner of Federal and Main Sts. 1-4pm • 21 Broad. Stop by to enjoy holiday goodies! 21 Broad Street. 1-5pm • J.McLaughlin Sip & Shop to support NCS – 15% of sales will benefit Nantucket Community Sailing. 1 Salem Street. 1-7pm • Preservation Institute - Christmas Stroll Craft Show More than 40 Nantucket craftspeople will sell a variety of wares from ornaments, textiles, pottery, floral arrangements, woven items, wooden items and much more! Preservation Institute, upstairs at 11 Centre St.
1pm • Walkabout Tours – Sankaty Bluff. A guided wilderness hike on the Sankaty Bluff trail. Led by naturalist Peter Brace. $50 adult/$25 child. Registration required: 508-422-7466. 2pm • Great Writers on Nantucket Walking Tour. Hear how Hemingway, Melville, Steinbeck, and others were inspired by their stays on this magical island on this 1/2 mile, 85 min. walking tour. Meet at Atheneum fence/Federal & India Sts. Arrive 10 mins early. $20/Adults, $15/65+ & teens, $5/7-12, free/children under 7. Cash only. 508-332-0953. No registration required. 2-6pm • currentVintage – Stroll Sale & Wine Tasting. Join us for Stroll Cheer in the form of a Festive Flight of Red, White, Rosé & Bubbles! Wine tasting 2-6pm. Our Stroll SALE 25%-80% Off Men’s & Women’s Vintage Clothing & Accessories is all weekend! Open 10-8. 4 Easy Street. 3-5pm • Epernay Wine & Spirits: Bubbles & Burgundy Wine Tasting. Holiday celebrating done right should begin and end with Champagne Pol Roger. Add a few splashes of delicious Burgundy and your celebration will be the talk of the neighborhood. 1 N Beach Street. 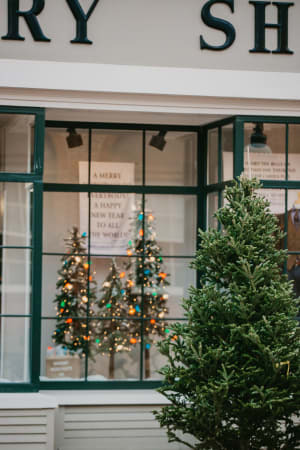 3-5pm • Nantucket Atheneum: Makerspace for Teens - Ugly Christmas Sweaters - It's time to get your Ugly Christmas Sweater ready for the holidays. Come and hot-glue gobs of glitz and tackiness on to a sweater you'll be proud to say you made yourself! All tools and materials will be supplied. Registration required. Free for teens in grade 6-12. 4pm • Cisco Brewers - Jeff Tuohy Trio Performs Live Live music at Cisco Brewers, 5 Bartlett Farm Road. 5-7pm • The Susan Lister Locke Gallery - Stroll Soirée & Surprise Sales!! Gallery open 10am-7pm with a special Stroll Soiree & photos with Santa (5-7pm). 28 Easy Street, 508-228-2132, susanlisterlocke.com. 5pm • The Original Nantucket Ghost Walk - See Nov. 29 for details. 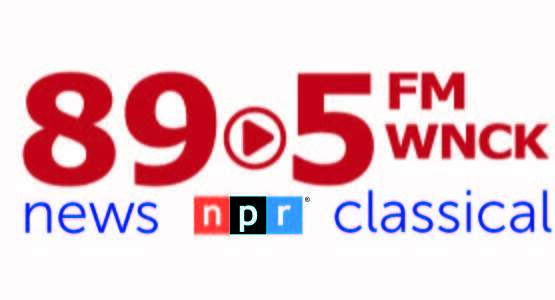 5:30pm • Nantucket Dreamland - The Vienna Boys Choir, renowned as one of the finest vocal ensembles in the world for over five centuries, is a frequent visitor to North America, performing throughout the country in everything from houses of worship to great concert venues like New York’s Carnegie Hall and Chicago’s Symphony Hall. Performance in The Dreamland, 17 South Water Street. 5:30pm • Brant Point Grill at the White Elephant Stroll Weekend Finale. See Nov. 29 for details. 5:30-7:30pm • Artists Association - Cool Yule Holiday Party Annual holiday party and reception in the Artists Association Gallery, 19 Washington Street. 6-8pm • The Gallery at Four India Street - Stroll Celebration Party. Join us for holiday cheer of wine, cheese & fabulous artworks for a special Stroll weekend. RED TICKETS here! Don’t miss our special coloring books by C.Robert Perrin and Candace Lovely for your holiday stocking stuffers! 4 India Street, 2nd Floor. 6-8pm • Old Spouter Gallery - Art of the Season. Featuring paintings, sculpture, folk art and wood turning by Island artists. Wine and cheese and Holiday Cheer! 118 Orange Street. 6pm • “Miracle on 34th Street” by Theatre Workshop of Nantucket. See Nov. 29 for details. 7pm • The Original Nantucket Ghost Walk - See Nov. 29 for details. 7:30pm • “A Nantucket Christmas Carol” by White Heron Theatre. See Nov. 29 for details. 8-10:30pm • Brant Point Grill Lounge - Sean Lee and The Band Performs Live. Local live music in the Brant Point Grill Lounge in The White Elephant Hotel, Easton Street. 7am-5pm • Marine Home Center Holiday Sale. Pick up a sale flyer for lots of great gift ideas. Special prices on home goods, tools, holiday decorations, and more. Refreshments and fun activities throughout the day. 134 Orange Street. 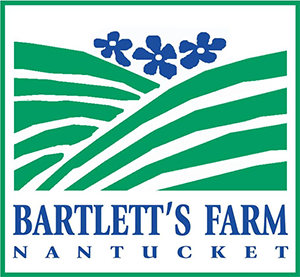 8am-3pm • Bartlett’s Farm - Wreath Making Class. Create your own custom wreath to decorate your home or to give as a gift. We provide all the supplies, instruction and tips, you get to be creative! In the Hayloft at Bartlett Farm, 33 Bartlett Farm Rd. $55. Classes at 8am • 10am • 12:30pm • 3pm. 9am-2pm • “Stroll On In” to Nantucket Culinary. Take part in our ’Tis the Seasoning Open House Celebration! Join us on the first floor of the Culinary Center as we’ll host a marketplace with local goods, a cash bar with seasonal cocktails, & more! 22 Federal Street. 9am-5pm • Preservation Institute. See Nov. 30 for details. 9:30am-2pm • Nantucket Atheneum - Used Book Sale Browse through hundreds of previously enjoyed books and media for all ages at great prices! Materials are organized by category to make browsing easy and fun. $2 for hardcovers and $1 for paperbacks. Atheneum Gallery, 1 India St.
9:30am-3pm • St. Paul's Christmas Market Fantastic gifts, antiques, handmade items, holiday wreaths and greens, homemade baked goods, Christmas decorations, and more. Sit down for a hot lunch featuring soup, chili, hot dogs, quiche, salad, and desserts from 11 am to 2:30 pm. All at St. Paul's Church, 16 Fair Street. 9:30am-4pm • Rafael Osona Auction. Featuring an array of Original Fine Art, Nantucket Art & Baskets, Maritime, Fine Antiques and Designer Furnishings, Hand Knotted Oriental Carpets, Estate Jewelry, Sterling, Porcelains and more. American Legion Hall, 21 Washington Street. 10am • Fifty Shades of Fabulous - The Story of Nantucket. See Nov. 30 for details. 10am-4:30pm • Nantucket Lightship Basket Museum 8th Annual Basket Festival and Sale. See Nov. 30 for details. 10am-5pm • Island Cashmere. Stroll Cashmere Sale. See Nov. 30 for details. 10am-5pm • NiSHA Pop up Shop at CJ Laing. Come shop for festive gifts for you and your pet, and enjoy a cup of hot apple cider. Featuring exclusively designed items by Meredith Hanson. All proceeds benefit Nantucket’s homeless animals. CJ Laing, 44 Centre Street. 10am-3pm • Christmas Stroll Market Hot food, handcrafted gifts, merchandise in an open air market at the foot of Main Street. Sponsored by the Nantucket Island Chamber of Commerce. 10am-2:30pm • United Methodist Church Christmas Cafe. Chowder, Chili, Meatball Subs, Hot and Cold Drinks, Doughnuts and Sweet Treats. No Stairs, Handicap & Stroller Accessible. Downstairs in Wesley Hall, Methodist Church, 2 Centre Street. 10am-5pm • NHA Annual Festival of Trees See Nov. 30 for details. 11am • Live Entertainment for Stroll Performances by local musicians and actors on Main Street. Sponsored by the Nantucket Island Chamber of Commerce. 10am-5:30pm • The Susan Lister Locke Gallery - Stroll Soirée. Santa & Surprise Sales!! Gallery open 10:00am-5:30pm; Photos w/ Santa: 3:30-5:30pm 28 Easy Street, 508-228-2132 susanlisterlocke.com. 11am-5pm • Barnaby’s Place inside Nantucket Bookworks . All day Book Signing with Wendy Rouillard. Meet the author of The Barnaby Bear Series. Barnaby Bear appearance from 12:30-1pm. 25 Broad Street. 11am-12pm • Mitchell's Book Corner. Book Signing with Peter Saverine. Meet the author of "Jenny's Pennies" at a book signing in Mitchell's Book Corner, 54 Main Street. 11am-4pm • G.S. Hill Gallery and The Nantucket Pearl Company - Annual Christmas Stroll Fun & Raffle. See Nov. 30 for details. 11:30am-9pm • The Nantucket Hotel – Stroll Lunch. See Nov. 30 for details. 11:45am • Town Crier Rings In Stroll Nantucket's Town Crier officially rings in the annual Christmas Stroll on Main Street. Follow him to Straight Wharf to greet Santa. Sponsored by the Nantucket Island Chamber of Commerce. 12pm-1pm • Mitchell's Book Corner. Book Signing with Renee Pembroke. Meet the author of Nantucket Christmas at a book signing at Mitchell’s Book Corner, 54 Main Street. 12pm-2pm • Epernay Wine & Spirits – Tuck Beckstoffer Holiday Wine Tasting. Stroll on in to Meet + Greet with Nicole Cribbins, Brand Ambassador for Tuck Beckstoffer Wines of California, as she showcases a spectacular selection of wines from this pioneering grape growing family. 1 N Beach Street. 12pm-4pm • The Gallery at Four India Street – Coloring Book Sale. Coloring books for children and adults by Candace Lovely and C. Robert Perrin. Candace will be in the gallery. Stop by for stroll cheer and refreshments. RED TICKETS and discounts on many of the great artworks. 4 India St., 2nd Floor. 12-5pm • Quidley & Co 9th Annual Art Show to Benefit the Marla Ceely Lamb Fund & Palliative and Supportive Care of Nantucket. See Nov. 29 for details. 1:00pm • ​Visit Santa Jared Coffin House. 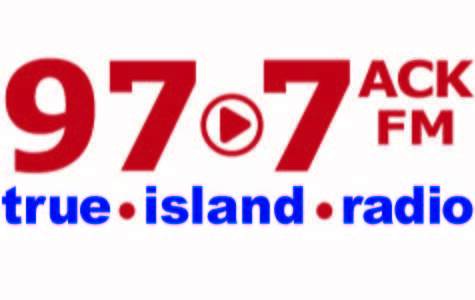 Sponsored by the Nantucket Island Chamber of Commerce. 1pm-3pm • ​Live Talking Tree Pacific National Bank, top of Main Street. Sponsored by the Nantucket Island Chamber of Commerce. 1pm-2pm • Mitchell's Book Corner. Meet the author of A Nantucket Wedding and A Very Nantucket Christmas. 54 Main Street. 1-2:30pm • Raven’s Walk The History of Nantucket. See Nov. 30 for details. 1-5pm • ​Remy Creations - Stop by REMY as they celebrate Christmas Stroll with warm beverages for shoppers, 16 Old South Wharf. 1:00 to 5:00 PM - Live Entertainment for Stroll Performances by local musicians and actors on Main Street and Jared Coffin House. Sponsored by the Nantucket Island Chamber of Commerce. 1pm • Cisco Brewers - Jamie's Solo Junk Performs Live. Live music at Cisco Brewers, 5 Bartlett Farm Road. 1-3 p.m. • S’Mores on the Patio! Join us for warm, toasty, tasty treats. Down the little board walk to Peter Beaton Hat Studio, 16.5 Federal St.
1pm • “Miracle on 34th Street” by Theatre Workshop of Nantucket. See Nov. 29 for details. 2pm-3pm • Mitchell's Book Corner. Book Signing with Nat Philbrick. Meet the author of In the Hurricane’s Eye and A Second Wind, 54 Main St.
2pm-6pm • currentVintage – Stroll Sale & Wine Tasting. See Nov. 30 for details. 3pm-4pm • Nantucket Atheneum Stroll Concert: Mollie Glazer and David Spear. Enjoy a warm cup of tea and some hot Brazilian music performed by Mollie Glazer/cello, and David Spear/piano. Nantucket Atheneum. 1 India Street. Free admission. 3–5pm • Stroll into Annye’s Whole Foods. Free Wine/Cheese Tasting. See Nov. 30 for details. 3pm-5pm • Epernay Wine & Spirits – A Sparkling Bright Volage Night. Combining the best of sparkling wine and rosé to make your holidays shiny and bright, celebrate this holiday season with VOLAGE. 1 N Beach Street. 4pm • Cisco Brewers - Jeff Tuohy Trio Performs Live. Live music at Cisco Brewers, 5 Bartlett Farm Road. 5pm • The Original Nantucket Ghost Walk - Town Route. See Nov. 29 for details. 6:30pm • Dreamland Theater: Live comedy performance by Kevin Flynn. Tickets/$20. 508-228-1784. 17 S Water Street. 6:30-9:30pm • Nantucket Culinary Center: Feast of the Seven Fishes. Live cooking demonstration and dinner exploring the traditional Italian American Christmas Eve celebration. Registration required: 508-228-2665, 22 Federal Street. 7pm • The Original Nantucket Ghost Walk - Town Route. See Nov. 29 for details. 7pm • “Miracle on 34th Street” by Theatre Workshop of Nantucket. See Nov. 29 for details. 7-9pm • The Raven’s Night Walk – Ghosts of Nantucket’s Past. See Nov. 30 for details. 8-10:30pm • Brant Point Grill Lounge - See Nov. 30 for details. 10pm-1am • Rose & Crown - Live DJ. See Nov. 30 for details. 7am-1pm • The Downyflake - Benedict Sunday Savor one of several special versions of Eggs Benedict every Sunday morning at The Downyflake. 18 Sparks Ave.
8am • Nantucket Walkabout Polpis Harbor. Hear how a massive chunk of glacial ice formed Polpis Harbor, about salt marshes, & how Native Americans & settlers used natural resources. Plus, a gull’s eye view of Nantucket Harbor & Coatue. Led by naturalist Peter Brace. $50 adult/$25 child. Registration required: 508-422-7466. 10am-5pm • Island Cashmere. See Nov. 30 for details. 10am-5pm • 25th Annual NHA Festival of Trees See Nov. 30 for details. 10:30am • Fifty Shades of Fabulous - The Story of Nantucket See Nov. 30 for details. 11am-2pm • The Nantucket Hotel - Christmas Stroll Sunday Brunch with Live Entertainment served at our Breeze Restaurant at The Nantucket Hotel. 77 Easton Street. 11am-2pm • Nantucket Island Safe Harbor for Animals - Pet Photos with Santa Have your pet photographed with Santa by a professional photographer at Strong Wings, 9 Nobadeer Farm Road. Suggested donation of $25 for this fundraiser for Nantucket Island Safe Harbor for Animals. 12pm-2pm • Epernay Wine & Spirits: Sips for Santa’s Helpers Wine Tasting. Don your best Stroll apparel and reward yourself for all your recent efforts at this festive wine tasting, or perhaps find something to gift to those who have been helpful to you throughout the year. 1 N Beach Street. 1pm • Cisco Brewers - Jeff Tuohy Trio Performs Live. Live music at Cisco Brewers, 5 Bartlett Farm Road. 1-2:30pm • Raven’s Walk – The History of Nantucket. See Nov. 30 for details. 1pm • Stump Swamp & Norwood Farm Guided Walkabout. See Dec. 1 for details. 2pm • Great Writers on Nantucket. See Nov. 30 for details. 3pm-5pm • Epernay Wine & Spirits: Stroll Like a Sommelier Wine Tasting. Find out our favorite wines to gift, ones we like to share, and which should be on your Santa wish list to receive yourself this year! 1 N Beach Street. 3pm • “Miracle on 34th Street” by Theatre Workshop of Nantucket. See Nov. 29 for details. 4pm • Cisco Brewers - Miss Fairchild Performs Live Live music at Cisco Brewers, 5 Bartlett Farm Road. 4-5:30pm • Nantucket Music Center Jazz Band Concert. Enjoy a jazz concert at Summer Street Church. 1 Summer Street. 5:30pm • Brant Point Grill - Half Price Food at Brant Point Grill Celebrate the last dinner of the 2018 season at Brant Point Grill with 50% off all food, while it lasts. Reservations: 508-325-1320. White Elephant Hotel, Easton St.